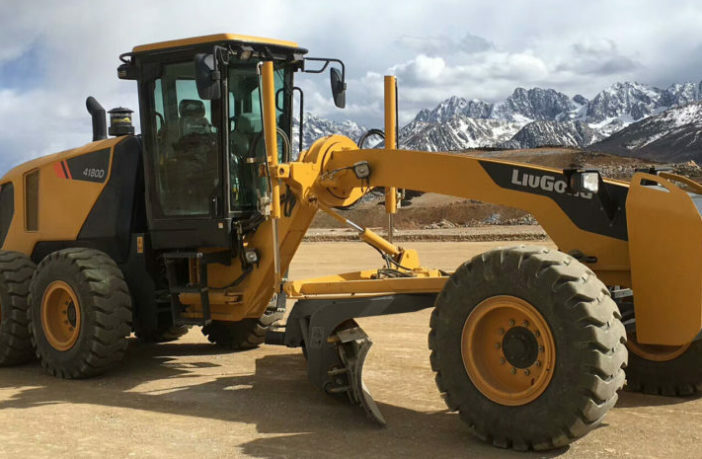 LiuGong’s unique take on motor graders has been announced as a Red Dot design award winner. The completely new 4180D is the result of the Chinese firm’s UK-based industrial design team, which sought to rethink the traditional grader and has been rewarded by the jury of the international design competition for its efforts. Boasting 324° panoramic visibility, the machine’s five-post cab has a single C-pillar, while new impact-resistant materials have been introduced to provide better weight distribution and increased recyclability. Access for routine maintenance was also a key design feature to provide reduced downtime and maintenance costs. On July 8, 2019, LiuGong will celebrate its success during the official award ceremony. The international design community will gather in Essen, Germany, at the Aalto-Theater for the Red Dot Gala. At the subsequent Designers’ Night party, the Red Dot laureates will receive their certificates and the winning motor grader-LiuGong 4180D will join the exhibition in the Red Dot Design Museum Essen, which presents all of the award-winning products. From that date, 4180D will also be on show in the Red Dot Design Yearbook, online and in the Red Dot Design App.